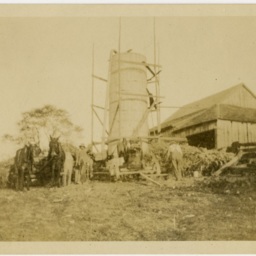 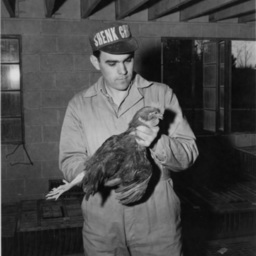 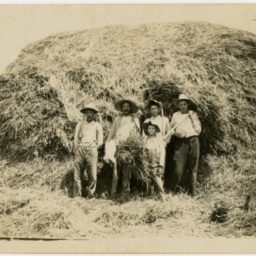 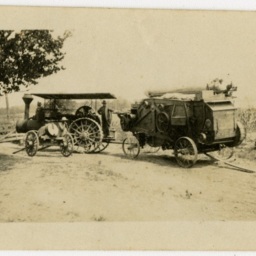 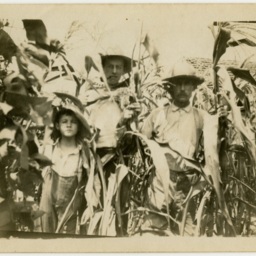 Photograph taken by William Hoyle Garber showing a man a the Skenk Chicks farm with a chicken. 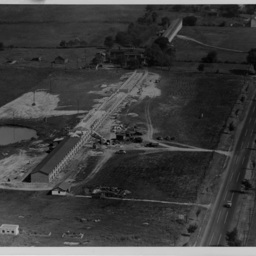 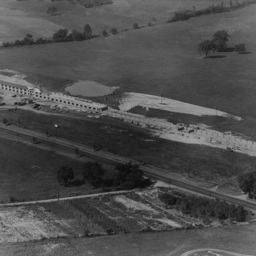 This organization was located in Rockingham County between Broadway and Timberville. 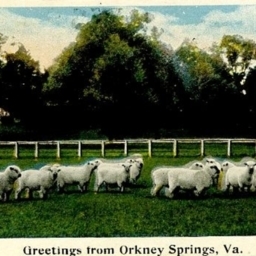 Greetings from Orkney Springs Va.
Postcard showing a group of sheep on a postcard labeled "Greetings from Orkney Springs Virginia."